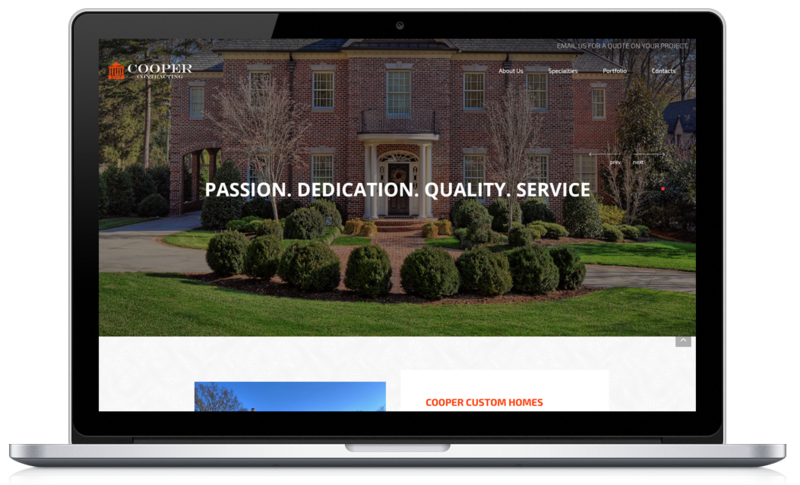 Originally we where approached by Cooper Custom Homes at Web Full Circle to build a single page website that would highlight the client's recent foray into more commercial projects. After meeting with the client, he seemed more geared toward building a brochure website that could in the future be used for internet marketing purposes. This would include more pages being built to Google's standards of having at least 1000 words minimum per page. Also as part of this websites scope we would need to have a portfolio for work completed by the client. I knew as the designer / developer this website would need to be optimized from a speed point of view as well as having a clean easy to use code base. With this in mind I set to work. After looking at the client's original website I knew that the client wanted to move away from a dark website to something lighter. I knew from a design standpoint I wanted to design a look that was modern but incorporates some features of construction namely the use of the client's bright orange. Using the orange as a starting point I created a design that used bright, visible colors as well as featuring a topography themed pattern. I felt the pattern really brought the design together for the client as he constructs homes as well as works on commercial projects. Using this knowledge I understood that most visitors to the website would be those in the trades who are very busy and are looking for a answer to their immediate problem. In keeping with this thought process I kept type to a minimum and instead allowed the clients beautiful photography to truly show what they are capable of.